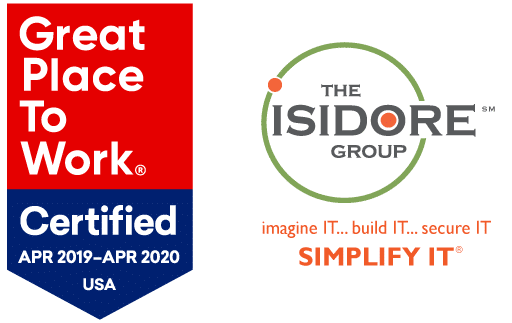 Burr Ridge, IL, 04-05-2019 — The Isidore Group, a technology support company, today announced that it has been Great Place to Work-Certified™. Great Place to Work is the global authority on workplace culture, employee experience and the leadership behaviors proven to deliver market-leading revenue and increased innovation. Only a small percentage of companies that take the company-wide Trust Index survey receive certification.